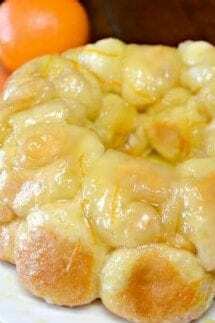 This Orange Monkey Bread is made with butter, sugar, biscuits, orange zest and fresh orange juice. You bite into a sweet and delicious citrus flavor with a surprise cream cheese center. My name is Diane from Recipes for our Daily Bread. I am excited about sharing this Orange Monkey Bread with you. 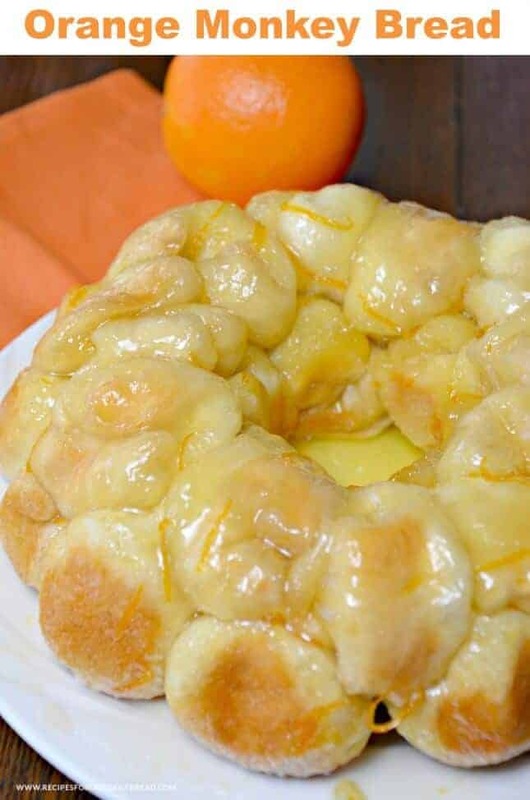 If you enjoy oranges, you will love this citrus monkey bread. It is a delicious breakfast or brunch treat. 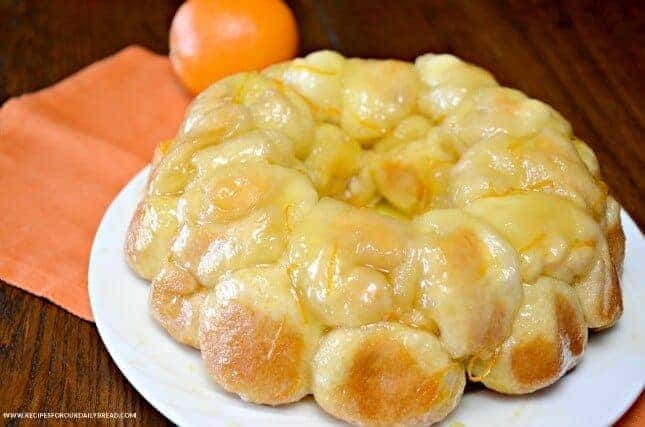 How do I describe this Orange Monkey Bread? Orange Monkey Bread is sticky, gooey, sweet, and orangey. It reminds me of being on vacation in Florida. I truly love this orangey breakfast treat. My father grew up in Winter Haven, Florida in 1930’s & 40’s. He loved oranges and anything made with them. He often told me of how he would walk through the orange grove barefooted to get to and from school. He would always stop and eat an orange on his way. My father is no longer with us, but I still remember all his stories he shared about growing up in Florida. Oranges were a big part of his life. My father and most of his family worked at some point and time in the orange groves or the orange factories. I inherited my father’s love for oranges. I truly love them, and everything made with oranges including this Orange Monkey Bread. If you are planning a special weekend treat during the holidays, give this Orange Monkey Bread a try. Spray a bundt pan with a cooking spray. Add 1 teaspoon of cream cheese to each biscuit. Press the biscuit seems together and roll up in a ball. Mix together the sugar and the Orange Zest. In a separate bowl, mix together the melted butter and orange juice. Dip the stuffed biscuits into the butter and orange juice mixture. Next, dip the biscuits into the sugar and orange zest combination. Add the biscuits to the bundt pan. Bake at 350 degrees for 45 minutes or until lightly golden. Remove from the oven and turn upside down while hot on a platter or plate. Tom Hanks and James Corden Act out All of Tom’s Movies in 7 Minutes! There is not a recipe for the Orange Monkey Bread, just pictures. It sounds delicious. I use Firefox. Hi Kay – it should be fixed now! Sorry about that! Thanks for sharing this Orange Monkey Bread. 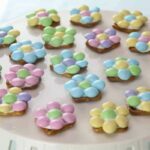 I love this recipe and was thrilled you allowed me to share it on your blog. Diane, this monkey bread looks so yummy! I am pinning it to make someday soon. Absolutely delish and shared so this amazing recipe can been enjoyed by all. Diane is a culinary genius to take such simple ingredients, and the end result is 5 star! Love this dessert, breakfast or snack! 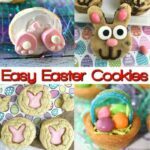 Thank you for sharing, and I hope to see more recipes by Diane again. I saw the comment on the cream cheese and was thinking along the same lines. Maybe marscapone? What about adding a little bit of orange marmalade to the cream cheese? I don’t get what you do with the cream cheese you just put in the center of the biscuit and roll it into a ball?